Goldsmith, 52, is the son of Olivia Newton-John’s late sister, Rona Newton-John, to whom Hotel Sessions is dedicated. Hotel Sessions is available at the Flamingo Las Vegas, where ONJ is an artist in residence for her premiere residency program, Summer Nights, as CD and digital download on her Web site and soon for downloading on iTunes. This is an edited transcript. Scott Holleran: What would Rona Newton-John, to whom Hotel Sessions is dedicated, think of the record? Brett Goldsmith: I think she would like it. My mother was a fan of Olivia’s. She was a big fan of Olivia’s voice. Being a fashion model and hanging out with rock stars, my mom Rona was a super cool kind of chick. I think she would especially like [the song I co-wrote with Olivia Newton-John] “End in Peace”. I would send my records for her reaction and she would criticize them in terms of my songwriting and my voice, which she told me she thought was getting better. A couple of lyrics were written while she was alive. I think she would like certain parts of Hotel Sessions. She would be the first to say what she didn’t like. Scott Holleran: Do you consider this record a tribute to your mother? Brett Goldsmith: I do now, yeah. It was almost like this record was never going to come out. The inspiration [for release] was Olivia cancelling her [impending] Las Vegas show after Rona’s death. Then, we said let’s make this happen and put this in some sort of cohesive order. We figured Rona would like that we were working together. Some of the songs mean a lot to us. Hotel Sessions was originally for me to put my production sound on Olivia’s voice. That’s how it was originally conceived. Scott Holleran: How did Hotel Sessions evolve into an extended play record? 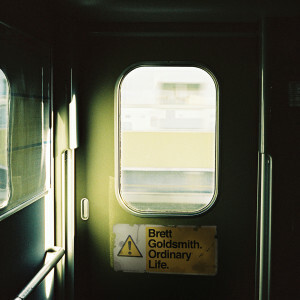 Brett Goldsmith: I had made an album in 2002 called Drive Time, which I’d made in a room on my own featuring songs I had written [that were] recorded by eight different vocalists—all Australian—and I was thinking it would be great if [my aunt] Olivia sang “Best of My Love”. She sang it and then went back to L.A. to [her manager and the record’s executive producer] Mark Hartley—or I sent her a mix—and she wanted to re-record the vocal and do another performance, so I went [to L.A] and did the vocal. While we were there, we wrote “End in Peace” in Malibu. After that, I think Mark Hartley turned to me and said how would you feel about taking a few of these songs and turning it into an Olivia record? I didn’t have to think about that for very long. So, Mark was very instrumental. I had pretty much let it go, storing these songs for whatever reason. I thought one day it might come to fruition. When Rona passed [due to brain cancer on May 24, 2013, in Los Angeles], I don’t think Olivia wanted to sing for while. So Mark was instrumental in pulling this together. Her publicist Michael Caprio and his partner, Randy Slovacek, also helped put Hotel Sessions on track. Randy in particular with his input and enthusiasm was a champion for making it happen. I shot the cover, we added dance remixes from David Hornos as DayBeat, because he had a good groove about him, and Mark went along with all that. It was very organic. Scott Holleran: When was your cover photo taken? Brett Goldsmith: After Mom died. It wasn’t planned. Unless I’m shooting [photographs for] a fashion story—that’s all premeditated—it’s improvisational. Olivia had asked me to find an image for the cover. I was actually at a soccer match—and I’m not that into soccer—and I saw this flock of seagulls. My iPhone was actually on the HDR setting—which means it takes two or three images in one hit and you get a flock of seagulls—and I happened to get that shot. So, I didn’t lay the images together. The double image was some weird anomaly. The phone was in portrait [not landscape mode] and [the image was] super grainy. And the city shots [on the back and inside the compact disc packaging] were taken during the same soccer match when the iPhone was pointing at Melbourne. I remember [looking out and] thinking that the city [Olivia’s hometown] would be a great shot. When I sent the images to Olivia, she loved them. There was no manipulation of the image, though. It just looked so haunting. Scott Holleran: How was working as a producer for Olivia Newton-John? Brett Goldsmith: Like most artists, Olivia knows exactly what she wants. She left me alone – she respects me as a photographer and as a musician – to work. The same goes with production. In fact, there wasn’t a moment when she questioned my grooves, arrangement or production. We’re talking about a singer with absolutely perfect pitch. I think I know what she wants, I know where the vibrato works and I know she has an incredible ear. When you’re cutting vocals with Olivia Newton-John, you’d better be on your best behavior. She’s a serious singer. Scott Holleran: Are there any unreleased songs not included on the CD? Brett Goldsmith: I did record one other song written for Olivia—but I got another engineer to come into the hotel and unfortunately he distorted the vocal. It sits in my computer. There were meant to be more songs. Scott Holleran: Do you have plans for another ONJ collaboration? Brett Goldsmith: Olivia’s the artist, I’m the producer and it’s her call. If she rings me up, of course I would jump at the chance. I would actually like to do a kind of modern country record or something in that type of genre. Scott Holleran: You’re also a singer and your own music album includes the original version of “Ordinary Life”. Why no duet with Olivia on Hotel Sessions? Brett Goldsmith: I never thought about that. I mean, Olivia sings duets with [singers such as] Tony Bennett. Every time we recorded in one of the hotels, I would literally go pull it apart. I would bring a Macintosh, a pre-amplifier, microphone, microphone stand and headphone and engineer and record her vocal in a hotel. I would hear the room as it is and record one song at a time. Because her time was so limited and frankly I was not sure if she was recording these songs as a favor – I could only do a couple of songs in Melbourne at different hotels while she was in town for the hospital in order to raise money, so it wasn’t a priority. I had these songs sitting on my hard drive and, as formats would change, [keeping up with upgrading technology] was crazy. In fact, I just found some video footage [of the hotel recording sessions]. I had happened to record some footage of Olivia and I’m there coaxing her through the vocals—she didn’t like her vocal—she wanted to record it more like the way I had done it. I knew I could get a beautifully tuned, unedited performance and maybe some harmonies. I think I managed to do that under tough circumstances. Scott Holleran: On your version of “Ordinary Life”, you sing a different lyric than Olivia sings on Hotel Sessions. Why change the lyric? Brett Goldsmith: I wrote that song reflectively talking about myself. When we got to sit down, she changed a lot of lyrics—we did it together just before we tracked the vocal, to change perspective [to reflect] her age and feeling. When I get up and sing, I sing whatever comes out. It starts with a melody. I never really think about it once I have the first verse. Olivia wanted to change a few things. Scott Holleran: Had you recorded with Olivia before Hotel Sessions? Brett Goldsmith: I did the world leg of her Physical tour and I’ve been in the studio with her, though not with musicians, bands and producers. We recorded “End in Peace” at a home studio in L.A. Olivia bought my first guitar for me and encouraged me to become a musician. She’d told me: ‘you’re a great songwriter’. I wish I had been in the studio during her country records in the 1970s. I’ve never really thought about this until you asked. Scott Holleran: Is it possible that Olivia will perform the Hotel Sessions songs during her show in Las Vegas? Brett Goldsmith: I really hope so. I would love that. If she put them in a set, that would be awesome. There’s no going back years later and fixing this or that. I’m glad it’s been released as demos, other than “Ordinary Life”. Scott Holleran: Let’s talk about the impetus for each song on Hotel Sessions. What made way for “Ordinary Life”? Brett Goldsmith: The whole point of the lyric is feeling pretty ordinary. The flipside is feeling pretty extraordinary. We all have ordinary types of days. The idea is that you can get through them, no matter how mundane [things seem]—you have an extraordinary story. We tend to feel ordinary based on fear of the unknown—I’ve had those days and all have been scary and worked out just fine. You remake yourself. Making records of my own is another reinvention. Now, I’m a photographer. But I was not until after I was 40 years old. Every one can remake oneself. Scott Holleran: What is the impetus for “Best of My Love”? Brett Goldsmith: It’s a love song, really, with a bit of heartbreak. It’s a story about people who give their all and get nothing back. I had that Emotions record [an entirely different song, “Best of My Love” on their Rejoice album] and it reminds me of [producer and musician] Nile Rodgers. So, I wondered if I could sing that title and lyric. I had to sing that [other] song in order to find Olivia to sing [mine]. I’m not a big fan of my own vocals—but she kicked it. Scott Holleran: What is the impetus for “End in Peace”? Brett Goldsmith: I watched 9/11 happen. It was overwhelming. I’m Australian—not American—and everyone was so sad about what happened. That’s all I had. When I went to L.A. to re-record the vocal for “Best of My Love”, we wrote “End in Peace”. I didn’t want to tell Olivia [what moved me to write the tune] because I am not an American. It was not really my place to say something but 9/11 was the impetus. I gave it to Olivia. Within an hour, I was sitting around the pool, playing verse chords and that’s when she wrote it. It happened quickly and I didn’t preempt her writing with my meaning. I’ve never even told her that. I didn’t think it was appropriate. Scott Holleran: What is the impetus for “Bow River”? Brett Goldsmith: The song is written by Ian Moss [of the Australian band Cold Chisel] and I came up with the idea to completely change the groove. I slowed it down. I recorded the whole music track in a particular key, then I rang up Olivia and she ended up nailing the vocal. It was originally done by Cold Chisel. Their song was literally in double time. Who knows what they think of it. Scott Holleran: What is the impetus for the cover of Mr. Mister’s “Broken Wings”? Brett Goldsmith: I wish I had more originals but I just had an idea to produce a version of that song even though I wasn’t a huge fan of the original. I must have picked up my guitar and I think it was in A minor with no singer in mind. I got a groove and I thought this record was really cool. So I flew it over without the vocal. They liked it and it ended up being on there because that’s all I had. The five you have on the record is the five I had. Scott Holleran: How did David Hornos, as mixer DayBeat, become involved for the dance remixes? Brett Goldsmith: Unbeknownst to me he had been recording and remixing Olivia’s songs. He had actually sent them but I didn’t know it [because his messages were unopened]. There had been some other dance remixes [of Olivia’s songs] I’d heard. Most of them including mine were awful. Then David’s [messages] turned up and I was quite embarrassed and said what have you got. He’d done a remix of “Broken Wings” and he mixed his beats and added piano. I gave him the vocal and he got it back in two weeks. Then I also sent him the vocals for “Best of My Love”. He did a great job. Scott Holleran: Your parents, nightclub entrepreneur Brian Goldsmith and Rona Newton-John, divorced when you were three years old and your dad owned music clubs and bars in Australia. Did having access to your father’s businesses influence you? Brett Goldsmith: Yes—in everything. You couldn’t find a 14-year-old collecting every vinyl record [like I did]. My dad having the hippest clubs when I was 14 or 15 years old, I was playing my record collection—from Kool and the Gang to orchestral music—and my music to an audience and seeing them out on the dance floor. It was amazing. Between the experience of his nightclubs and his encouragement for me to become a musician and letting me be who I am was really encouraging. I went to a stuck-up private school—it was sort of Ivy league and people became lawyers and doctors—and my dad was great. Between Olivia and him, I felt very encouraged [to pursue a career in the arts]. That and I’m really good at reading manuals. Brett Goldsmith: —That’s true. My sister Tottie and I had a band called the Chantoozies—we were a kind of cheesy Bananarama type band—and we had a couple of hits in Australia. We toured for years. I got to write those songs and it was my dad who paid for our first video. So, there’s no doubt that our upbringing was privileged and, yes, there is a lot of pressure to live up to expectations. I can certainly see how difficult it is. Privilege and money can be the kiss of death. And there are people out there that just up and go about their lives without much money. So, it’s a personal drive that everyone needs to have—you have to eat well and get sleep—and if you wind up in the wrong place, know that there are people who want to help. Scott Holleran: We’re coming up on Mother’s Day in the U.S. What to you is your mother Rona’s legacy? Brett Goldsmith: She was the coolest. She is known by people who didn’t know her as being beautiful—and my mother was beautiful—but within and behind that beauty was a great fashionista and reader and writer and movie watcher who had talents of her own. Some of them were fulfilled and some were unfulfilled, just like all of us. Her legacy is that she was witty, sarcastic, brutal, funny and cool—she didn’t brag—and she lived a life and married interesting men, met presidents and traveled with Olivia and was a super cool chick. She had style and she loved my photography—she was a model and I started as a fashion photographer—and she was a fan of mine. And I am a fan of hers.